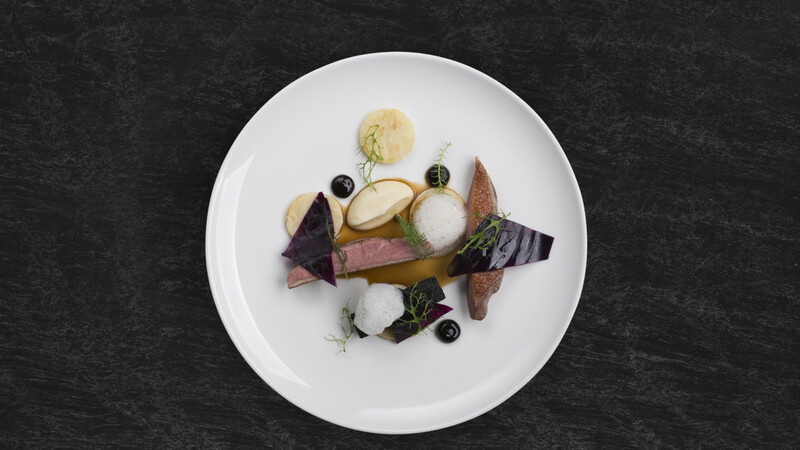 In foodies Muga’s name immediately evokes associations with an excellent restaurant Mugaritz – one of the best restaurants in the world. And – although the owners renounce the etymology pointing to that the inspiration comes from their favorite winery in the Spanish region of La Rioja – keep in memory that reference. 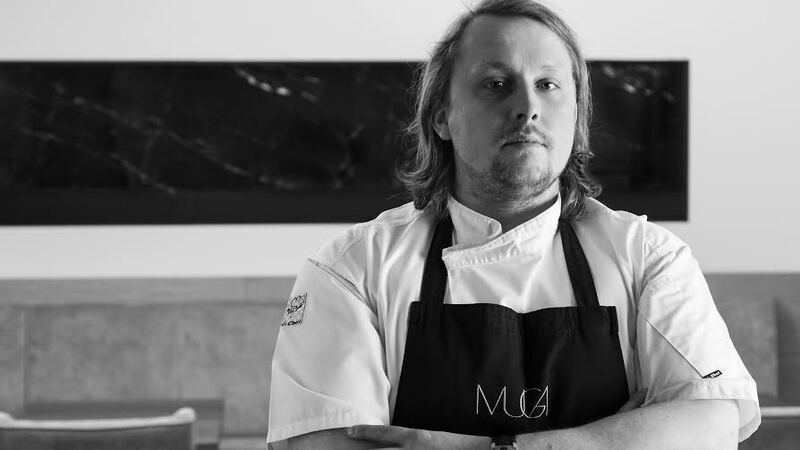 Muga in Poznań is in fact one of the best culinary addresses in Poland! In fact, at first it was wine, then established restaurant: first opened to the adjacent premises – Casa de Vinos – wine store, where drinks (because you will find there is not only wine, but also selected exclusive beers, ciders and water) can not only buy, but also to discuss them with a competent owner and try them. Eneoteki picturesque room, where wine tastings are carried out, you can be seen from the rest by a large, giving the interior Mugi a lot of space, a glass wall in the back of the premises. In the evening, only it we are able to look to the restaurant, which is an individual capsule: Guests here are losing all sense of time and space. 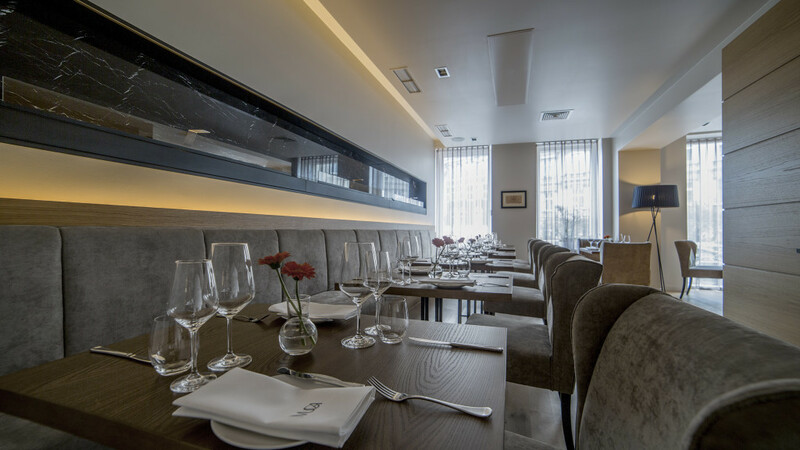 Obscured story, warm light, wood and plush, the right temperature, gently seeping music and discreet service – all this makes the Mudze just wants to sink into the soft seats and give them care. Well trained waiters with no problem, but also non-invasive and very elegant, talk about every meal and matching wine to him, to see if something we do not need, and – by the way – check our level of satisfaction with the administered food. A Mudze is high. The kitchen is ruled because Artur Skotarczyk – head educated at Paul Bocuse in Lyon and the restaurant Le Pergolese in Paris, Poles mainly known from the La Passion du Vin, and their culinary creations at the festival TRANSATLANTYK (he co-wrote the memorable dessert of 2013, which consisted of a mousse with roasted almonds with a cherry, frozen cheese from the milk of the village of acacia honey and amaranth). That’s what is most beautiful in its food, the balance and the use of the best ingredients. Denmark Skotarczyka are never exaggerated and although contain many elements – all together harmoniously coexist. Head plays with textures, techniques kulinrnymi, aesthetics dishes, but everything always surrenders his superb product. 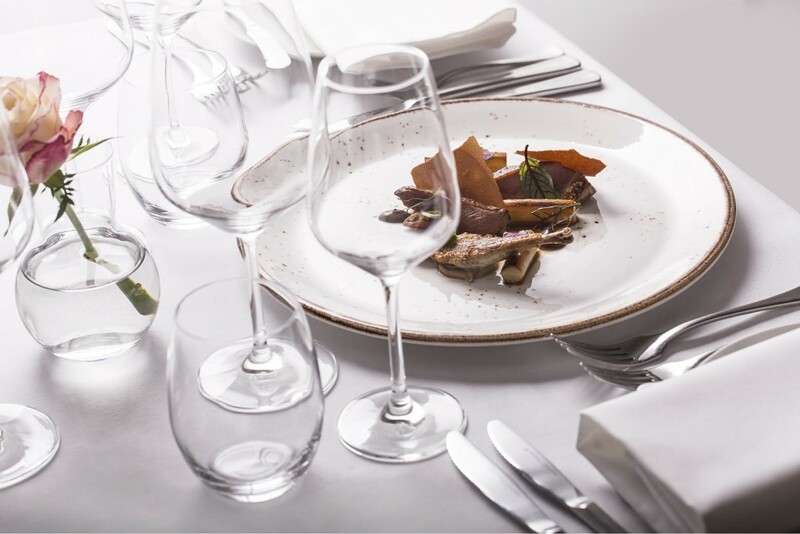 We found this out by ordering the beautiful, seemingly simple in baking the marinated herring – which complement accents of roasted onions and red cabbage, gingerbread crumbs and linseed oil, and thin slices of radish. The taste was also extremely fresh – fish marinated though, looked like he just jumped out of the Baltic Sea – and familiar, even Christmas Eve, though in very light release. 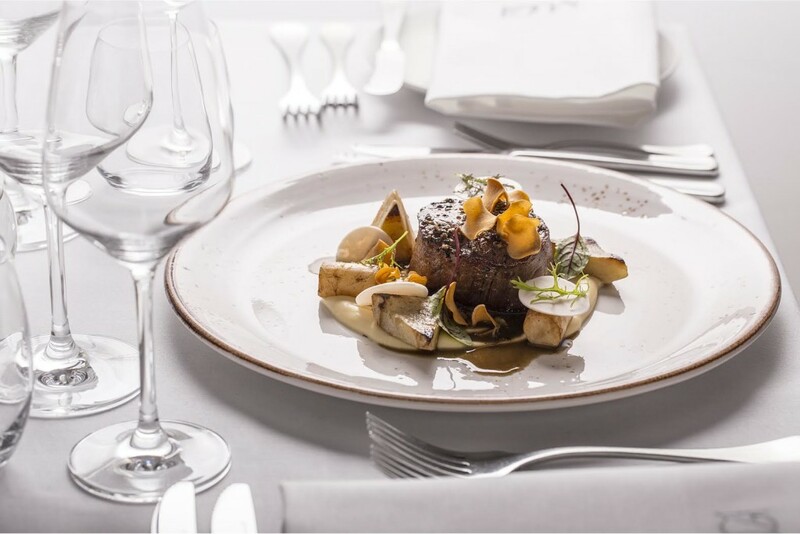 It was the same with tartar: great meat perfectly complemented custom specified, although the canonical additions (onions, capers, gdzyby), and – above all – mustard ice cream. Head with great respect, treated or trout – a beautiful fish with a pink flesh – around her delicate flavors while playing a classic sauce Rouille, the aroma of saffron, sepia and … parmesan, which would add to the fish not certainly none Italy. It turned out that in his version of the cheese and fish to fit together perfectly. 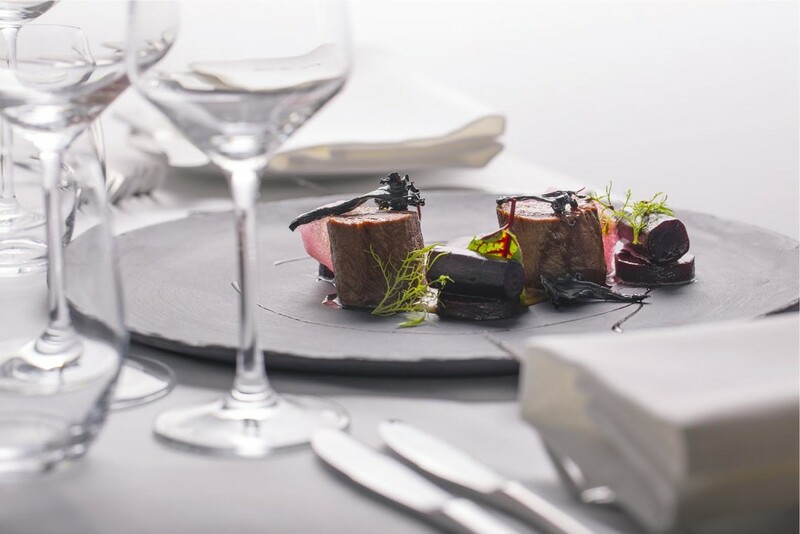 Skusiliśmy also on – ideal for Spanish wine, which in the neighboring Casa De Vinos is hundreds of labels – the cheeks of iberico pork with chickpeas, potatoes, smoked brilliant and wonderful meals made octopus. Extremely pleased by our desserts, since – as infrequent – not invent them confectioner, but the same boss and that proved to be not only delicious, but also funny in a way. Cute and well done (and it’s art!) Small pink macaroons with fruits of the forest drowned in the sweet pudrach – turned out to be perfectly balanced acidity with sweetness. Similarly, in the case of a complicated structure terrines baked apples with salted caramel and beurre noisette. 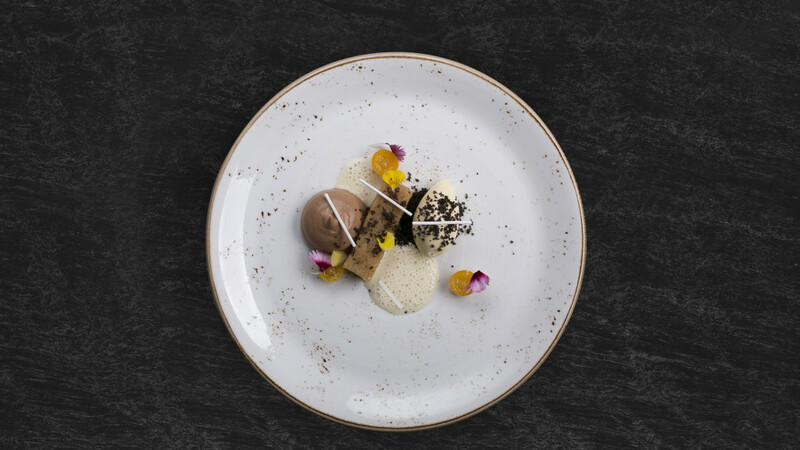 Both desserts were not only great culmination of the dinner, but also the signature of the head, which, although it uses complex techniques – it will be able to play with them so as to obtain a humorous lightness at a high level. 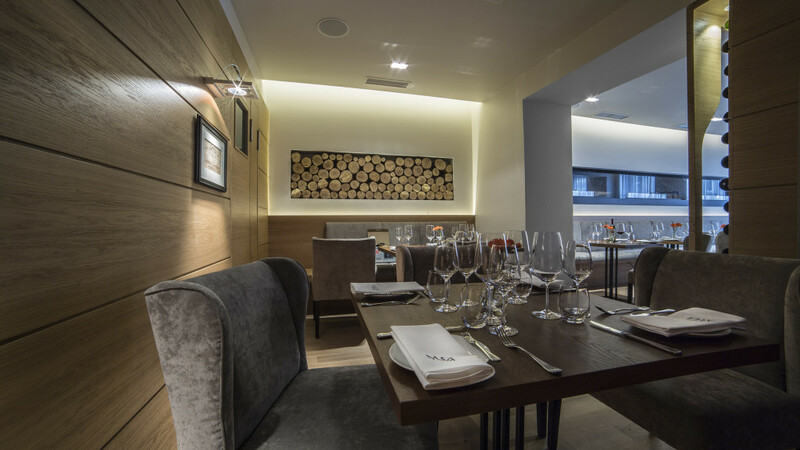 It is thus Muga to one of the tastiest and most elegant addresses in Poland.